Published on Jul 14, 2015 – One of the best speeches by an Indian ever on the subject of British reparations. It’s from an Indian MP, Dr Shashi Tharoor, invited to speak at the Oxford Union Society in a debate on Reparations for British Colonialism. The debate’s proposition was ….Does Britain Owe Reparations to India And Other Former Colonies? ABOUT THE OXFORD UNION SOCIETY: The Union is the world’s most prestigious debating society, with an unparalleled reputation for bringing international guests and speakers to Oxford. It has been established for 189 years, aiming to promote debate and discussion not just in Oxford University, but across the globe. 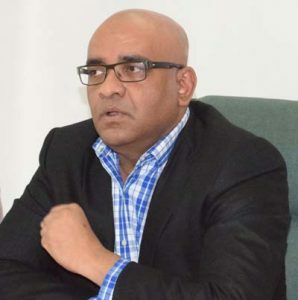 Since Opposition Leader, Bharrat Jagdeo’ has a remarkable legacy of failure to his name then he has no place awarding any grade to the performance of the APNU+AFC Government. The AFC stated that it finds the “F” grade to be devoid of objectivity or fairness. It said that this move however fits with the far-right extremist approach and utter desperation that Jagdeo has adopted in dealing with matters as Opposition Leader. This comment was made by the Alliance For Change (AFC) last night. Its statement was in wake of the “F” Grade recently handed out to the administration by Jagdeo. Watch Live: President Trump Rally in Florida at Orlando Melbourne Airport (2/18/2017) Donald Trump Speech, Live event in Melbourne FL – Donald Trump Florida Speech, Melbourne Rally – Trump American Back to Work Rally. Chief Justice (ag), Yonette Cummings-Edwards and outgoing Chancellor of the Judiciary (ag), Justice Carl Singh, proudly cut the ribbon to formally re-open the Sparendaam Magistrates Court (see below) which had been closed for almost a year to facilitate the construction of a new building, citing that two Magistrates will now preside to deal with the backlogs. What about other judicial and magisterial districts? Are the residents of Lethem and Bartica, for example, not entitled to speedy justice also? What about public disclosures, tenders and advertisements concerning the costs and allocation of this public works contract? We deserve public accountability.